Jonathan Kingsley of Sunseeker Cheshire showed the Deputy Mayor of London, Victoria Borwick, aboard the stunning Sunseeker 40 Metre Yacht on display at this year’s London Boat Show, held at London ExCeL from 4th to 12th January. 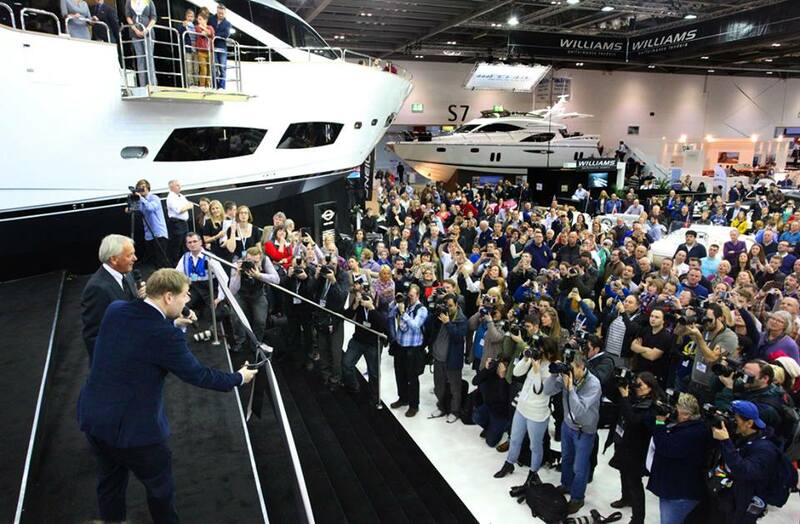 “It was a wonderful opportunity to promote our iconic brand and reinforce the British success of Sunseeker to this high profile, influential Lady”, said Jonathan. “She, and her son, adored the boat and found the tour of both the 40 Metre Yacht and the other stunning models on display on our stand, highly informative and impressive”. 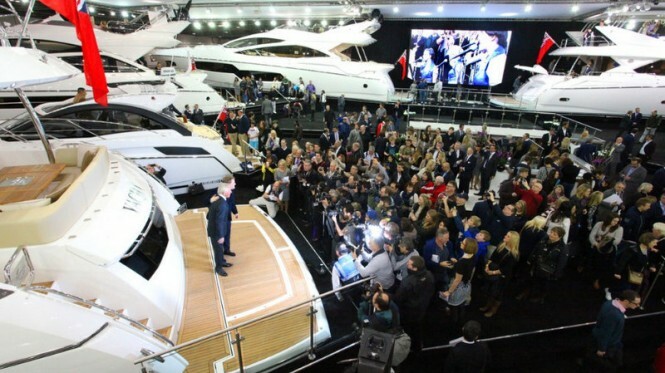 “The London Boat Show is proving to be a real indicator that the wheels of the economy are starting to turn again. Boat sales have been agreed on the stand this week and we are finding that the visiting clients are showing far more interest than we have seen in previous years”. “This is confirmation that our events and activities in 2013 have been a complete success as we have re-aquainted ourselves with so many clients for the North who are making the trip down to experience the boats for themselves”. How impressive! Looks like an amazing time was had by all!